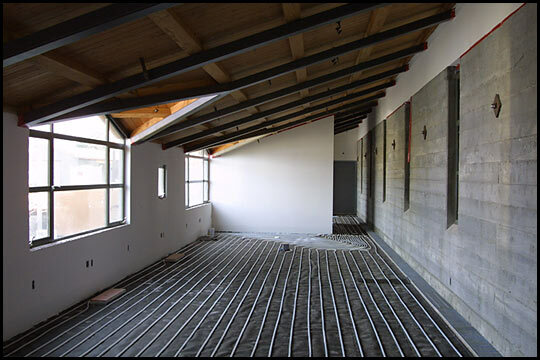 Radiant Hydronic heating and cooling is spreading through the commercial sector including wineries, wine caves and other businesses that are taking advantage of its benefits. Tom Schefer had previously done Hydronic work for LeDuc & Dexter as a subcontractor at wineries like Stryker Sonoma in Alexander Valley and Nickel & Nickel Vineyards in Oakville in the Napa Valley. The wine cave trend is a focal point for LeDuc & Dexter’s Hydronic Department. Along with their plumbing expertise in new construction, retrofitting and remodeling of wineries, LeDuc & Dexter now offers radiant cooling installation for wine caves. The economic outlook for the wine industry indicates a rebound this year after two years of flat sales and overproduction of wine and vineyard plantings. Since many wineries add wine caves to existing wineries LeDuc & Dexter is now in a better position to approach those project with their new Hydronic Department. Prior to coming aboard at LeDuc & Dexter Schefer installed a number of radiant cooling systems for wine caves. Lower energy costs along with a minimum of barrel evaporation, normally caused by cooling fans are major benefits of radiant cooling in wine caves. 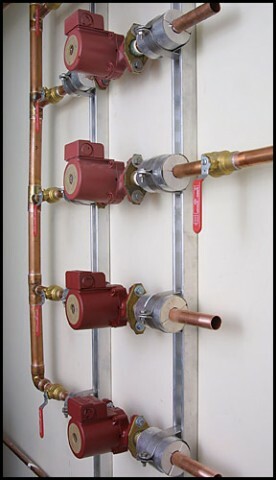 Now it’s time for other business sectors to discover and reap the many benefits of radiant Hydronic heating and cooling.